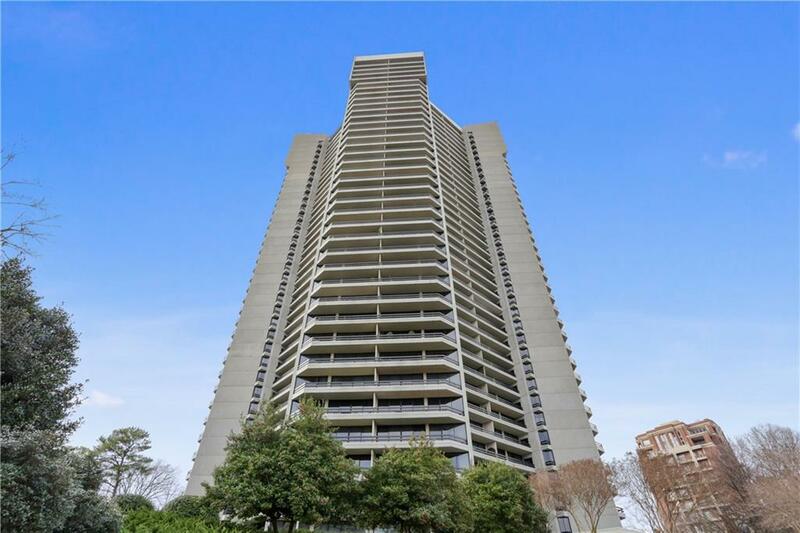 Completely renovated unit in one of Buckhead's premier buildings. No detail has been overlooked, completely move-in ready. 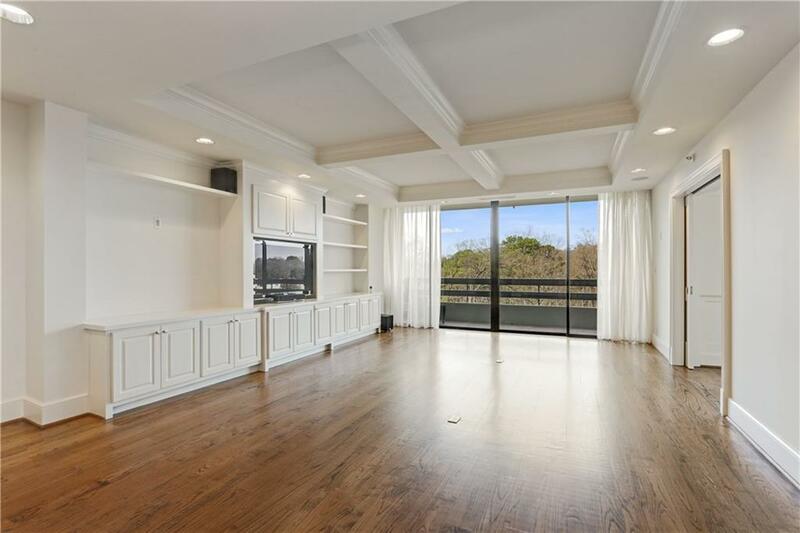 Two terraces give skyline views as well as a tranquil treetop view over Buckhead. 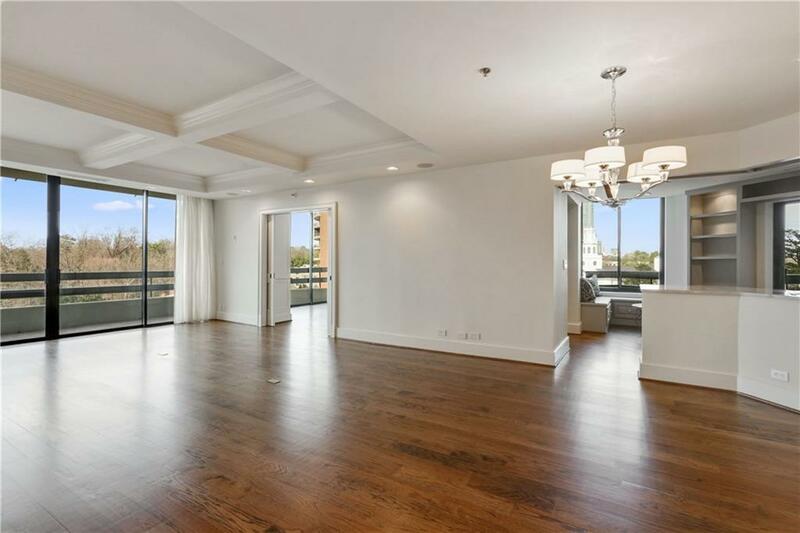 Unit features large open floor plan, high ceilings and an elegant entry foyer and hallway. 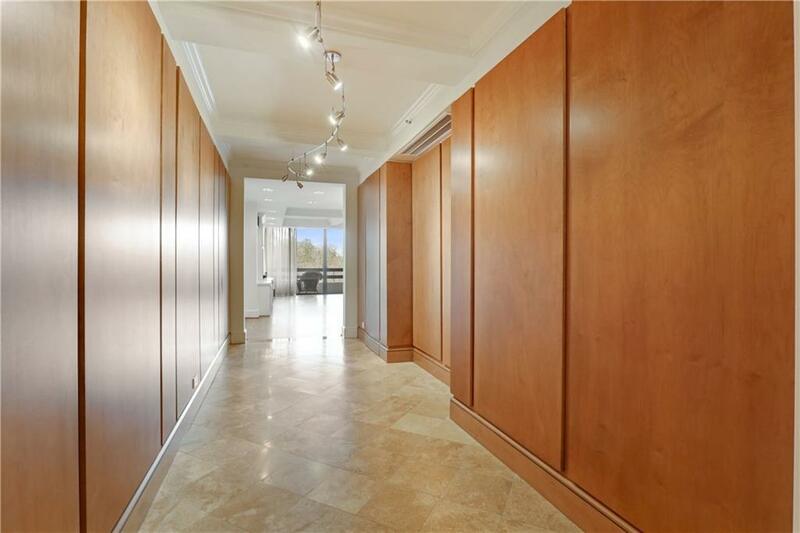 Master suite with his & hers closets and completely updated bathroom. Second bedroom could be a den or guest suite with an updated en-suite bath. Chef's kitchen has stainless appliances, stone countertops and a walk-in pantry. Opens to dining/living room and breakfast area.